sailboat. 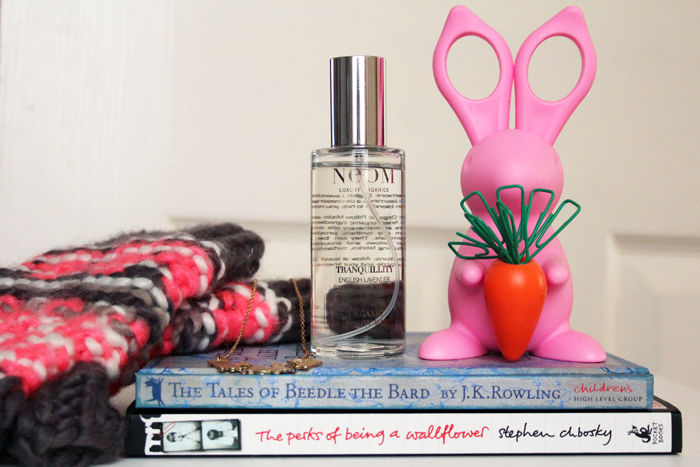 : October 2013 Non Beauty Favourites. October was a funny old month. It feels like a lot of things happened, some were good and some not so good, but it felt like it went on forever. Simultaneously I'm now sitting here thinking, how on earth is it November already?! Not that I'm complaining though, I'm thinking of taking on Blogmas again this year (posting every day in December) so I'm planning some exciting posts and very much making the most of the cooler weather. I'm keeping my fingers crossed for a white Christmas! Sleeping isn't something I usually have trouble with, but I had so many thoughts whirring around in my head that it didn't matter how tired I was, I just couldn't drift off. I'm not keen on anything too medicinal to help me sleep so although I'm also usually quite skeptical about products that claim to help you drift off I gave the Neom Pillow Mist a try and it works a treat - I'm usually asleep as soon as my head hits the pillow. When my hands get cold it instantly puts me in a bad mood, is that odd? So even though it wasn't super cold during October I was wearing these New Look Handwarmers and not caring about the people who were giving me funny looks. I like that they're fingerless so I don't have to worry about having to take them off to rummage around in my purse for enough coins for my afternoon hot chocolate! I've had this sweet bunny necklace from Love Hearts & Crosses in my collection for a long time and I love it just as much now as I did when I first got it. Yes I am a crazy bunny lady, I can't help it! Love Hearts & Crosses is one of my favourite online jewellery boutiques, if you love jewellery you will absolutely adore having a look around because I know you'll find something that you'll want to treasure! Admittedly when I picked this Qualy Desk Bunny out from Zalando I didn't know how useful it would prove to be, I just really wanted it because it's super cute. Yep, crazy bunny lady appears again! But I've actually been really surprised just how often I seem to need paperclips! And yes, I'm very obsessive about putting them back when I'm finished with them because the carrot just wouldn't be the same without them! 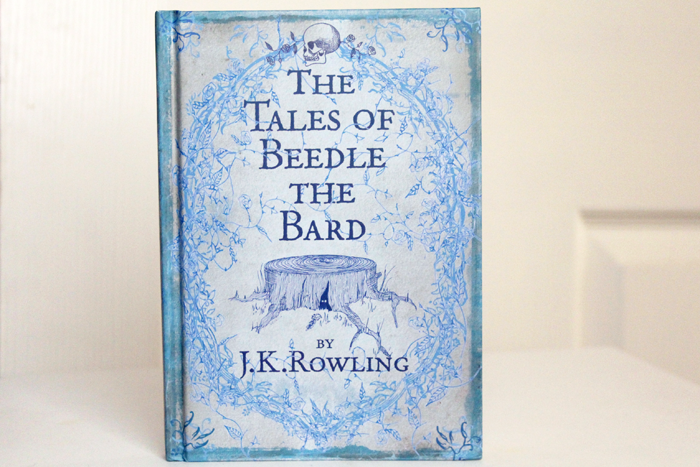 I adore The Tales of Beedle the Bard, there's not really another word to describe my love for it! It's such a perfect addition to my bookshelf and I love the sweet illustrations throughout. It has been and will continue to be a book I turn to in the evenings if I'm not sure what to read because there's something so incredibly comforting about it. I'm so glad I decided to purchase this on a little bit of a whim, it's wonderful. I have a collection of jumbled thoughts that will hopefully make it into a review post very soon about The Perks of being a Wallflower. I re-read this in October and fell in love all over again. It's a book that I think I'll always treasure, it has so many memories attached to it and I know it's one that means a lot to so many people. I don't think my review will be particularly balanced because it means so much and I find it super difficult to detach myself, but I hope you won't mind too much! Have you read it? I'd love to know what your thoughts are! What was your favourite book that you read last month? Really intrigued by the Neom pillow mist, some nights I just can't switch off. I only read one book last month (boo!) which was Revenge Wears Prada, the Devil Wears Prada sequel. Nothing spectacular, just a nice easy read! I'm a pillow spray person, think it makes a big difference! Even if it's all in my head. I've been meaning to read perks of being a wallflower, maybe I'll just get it on my kindle. Everything is so cute!! Especially the hand warmers and necklace!! Are those bunny ears scissors as well!? too cute! I haven't read a book properly in a while. My silly brain fog wont let me :( But the most recent book I've been reading and getting towards the end of is Tina Feys' Bossypants which is hilarious. Not my usual type of book but that woman is so funny! I love the Perks of Being a Wallflower and the Tales of Beedle the Bard, both great books! :) Your necklace and gloves are amazing too. Oh, that necklace is adorable! The Perks of Being a Wallflower is on my to-read list and I hope that I'll buy a copy soon. Aw that rabbit necklace is adorable ! 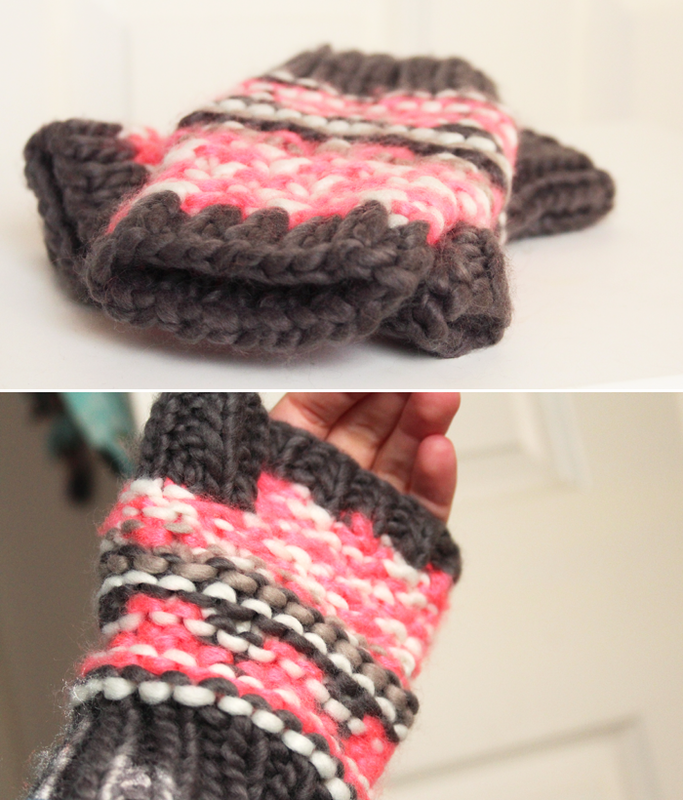 Loving the handwarmers, its colours are just lovely. The desk bunny is super awesome. 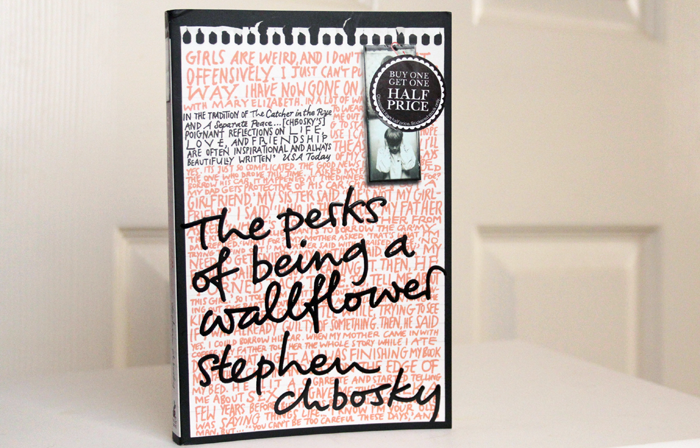 The cover of The Perks of Being a Wallflower looks cool but I haven't read it yet. Was planning to but never got around to it! me the ultimate dreamland, haha.. I love the neom mist & the Perks of Being a Wallflower. Still haven't made it to watch the film, but it's on my to do list still :) I'm always afraid of films ruining a book for me. But I shouldn't be - I mean, Emma Watson is in it, right? Have you seen the movie? I watched Perks of being a wallflower the other day! Your handwarmers are so sweet, I need a pair as my hands get so cold when I am working on my computer. These would be perfect! 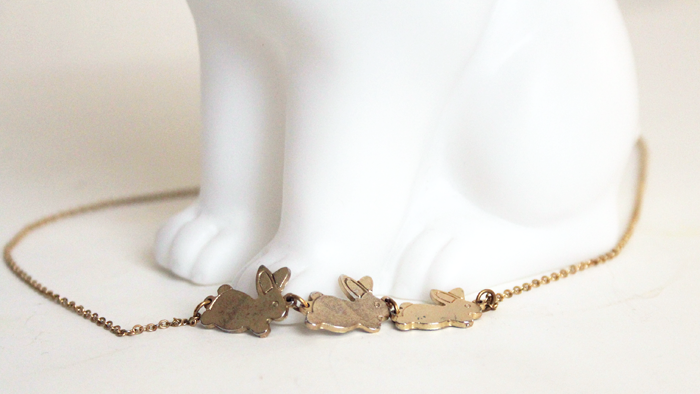 The rabbit necklace is so pretty! 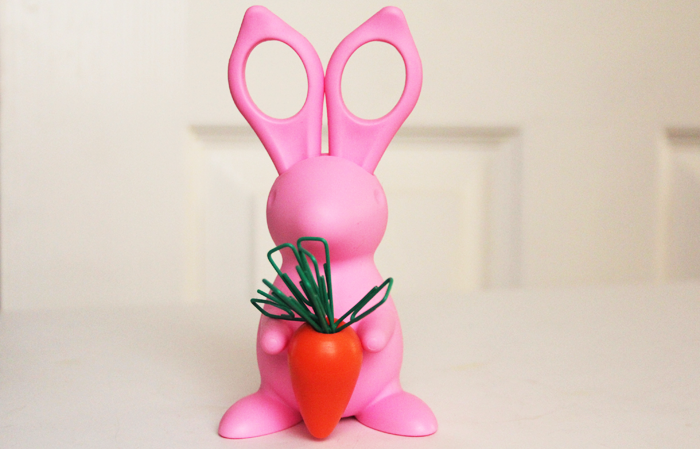 And the paperclip holder is really cute too! Your photos are gorgeous! I really want to try the pillow mist! Also I got Tales of Beadle The Bard while I was in London this year and I love it! I keep meaning to read The Perks of Being a Wallflower! I need to pick up a copy soon! My favourite book of the past month has been quite a strange one, but it's called "the secret race". It's about one of Lance Armstrong's cycling team-mates Tyler Hamilton. I am a fan of cycling anyways, but it's just so well written that I think anyone could enjoy it. Hope November is by far a much better month for you sweet! <3 The Neom Mist sounds really lovely, I'm the same with thoughts whirring round my mind late at night- so frustrating! Your bunnies necklace is adorable!